Chemical coatings used to make metal more absorptive will decompose over time, so researchers at the University of Rochester in New York instead used laser technology to physically alter the surface of metals, and have achieved long-lasting results. Rochester Professor Chunlei Guo published a paper in the Journal of Applied Physics along with colleague Anatoliy Vorobyev at the university's Institute of Optics. In the study, they discuss creating a multifunctional metal surface by producing hierarchial nano/microstructures with femtosecond laser pulses. A femtosecond is a unit of time equal to 10^-15 seconds. 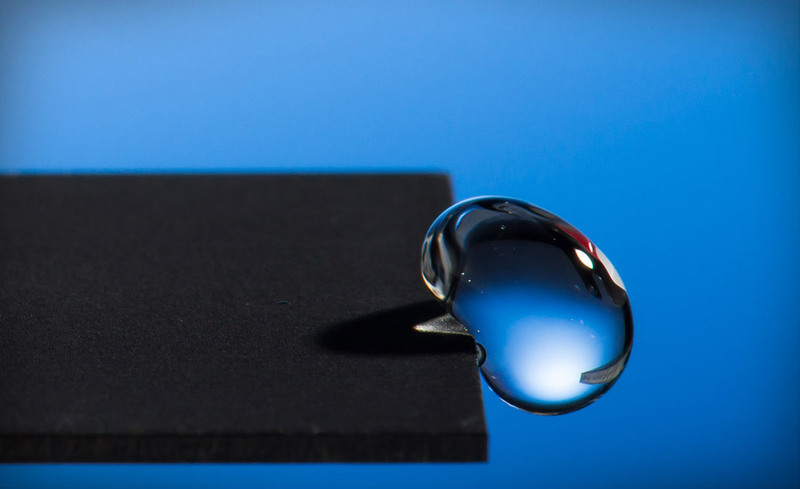 The researcheers used the example of a falling water droplet being repelled from a structured surface with thirty percent of the droplet's kenetic energy conserved, according to the paper. Each water droplet removed a significant amount of dust particles, making it self-cleaning. The multifunctional surface can be used for light collection and water and dust repulsion. According to Guo, it was necessary to sample a number of different metal alloys. Thy tried etching platinum, titanium, and brass using a high-intensity short-pulsed femtosecond laster. "You want to have a range of different metals", Guo explains. "For example, platinum is an inert metal and will not oxidize. We have also tried steel and it works on steel". These findings could positivley impact the energy sector, particularly for osuch applications as sensors or for solar power. The metals become superhydrophobic and because the surface is etched using a laser in stead of chemicals, the effectiveness doesnt' fade or rub off over time. While the discovery can be used for solar energy collection, that was not the original intent. 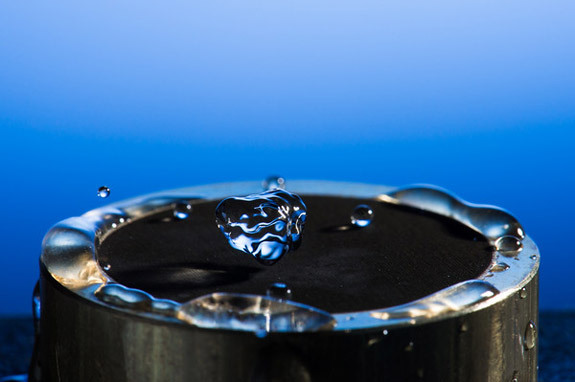 "The superhydrophobic surface can reduce metal corrosion, prevent ice formation, reduce water friction when applied to a ship hull, and help with sanitation applications", Guo says. These uses can be applied sooner than later, according to Guo. "The technique is scalable. It is possible that the technology can be applied to industrial production in the near future". Why lasers? Guo's lab has developed various other technologies in the past using lasers. Past endeavors include "turning metals totally absorptive and creating the so-called black metal, and turning regular metals superhydrophilic (attracting and maximizing contact with water)." The researchers plan to move forward with their studies to uncover other useful properties of laser pulse etching. "It is natural that we extend the technology further to produce the superhydrophobic surfaces", Guo says.